Great! How does that impact your technology? If you're growing, particularly experiencing fast growth, you're likely making decisions and planning at a greater pace that your peers and competitors. As Verne Harnish discusses in his book, Mastering the Rockefeller Habits, growth of 5% is average and likely that of your competitors. Growth of 10% or 20% means you are growing 2 or 4 times faster than those around you, meaning your annual planning cycle may in fact need to be 6 monthly or quarterly. There are a number of challenges in that, and time is not on your side! So many things to think about: funding the growth, increased staffing, bigger premises, not to mention maintaining the sales and customer acquisition to keep you there. So how do you manage the technology you need? Like everything else your organisation is battling, technology is another area which needs to cater for more people, increased processing and transactions, more emails, more information, and quite possibly, new functionality. 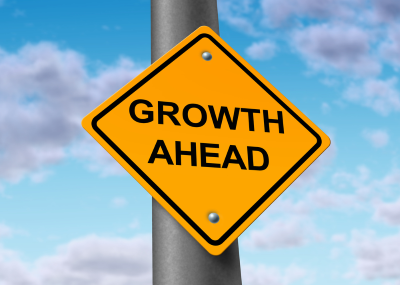 You need to start with an IT strategy that can keep pace with your growth strategy. There is plenty of technology available to do the job, we can help you select the right path.